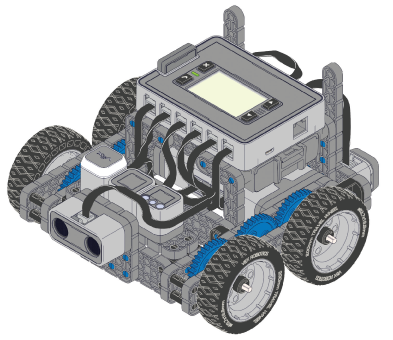 This unit introduces students to Sensors and Programming with VEX IQ. VEX IQ Sensors allow for autonomous and hybrid control of VEX IQ robots and other creations. VEX IQ Sensors connect to a robot or mechanism quickly and are easily programmed to help measure time, position distance, rotation, sense touch, provide feedback, allow for human-to-robot interaction, and much more.